There have been documented studies that link distracted driving and a reduction in safety; what hasn’t been done is to see whether there is a link between distracted driving and congested traffic. A study used a driving simulator on teens and young adults who drove while texting, using their cell phone and were undistracted. The environment changed from free flowing, stable flowing to oversaturated traffic. There were75 participants from 26-25 years. They were split into two groups: novice drivers and young adult drivers. Each operated the simulator three times using the three driving conditions and one of three distractions. All were done on a simulated four-lane freeway during the day. They found that there were more lane deviations and crashes during texting. 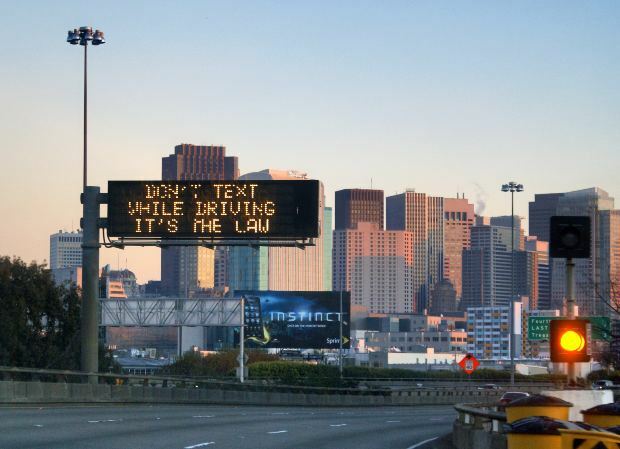 Texting had a negative impact on the flow of traffic so there were more fluctuations in speed and fewer lane changes when compared to having no distractions. More simulated vehicles passed the participant while they were on the phone or texting. Distracted driving, they determined, were more likely to reduce the safety of the traffic and to alter the traffic flow. There were no differences by age so the researchers decided that traffic safety was altered regardless of age. Distracted drivers seem to be adversely affecting traffic safety at all ages. One other study looked at distracted driving because of secondary tasks as a major risk of automobile crashes among new drivers and older adults alike. They conducted two studies at the same time, looking at the performance of secondary tasks, including cell phone use and how they impacted crashes and near crashes. Real automobiles were used and GPS machines, accelerometers and cameras were inserted in the vehicles for the study. A total of 42 newly licensed drivers and 109 adults were chosen that had more driving experience. During the study, there were 167 crashes and near accidents happened among novice drivers and 518 crashes happened with experienced drivers. The risk of a crash or near crash increased to a great degree when they were dialing a cell phone (odds ratio 8.32), reaching for a cell phone (OR 7.05), sending or receiving text messages (OR 8.87), reaching for an object that wasn’t a cell phone (OR 8.0), looking at a roadside object (OR 3.90) or eating (OR 2.99). Even among experienced drivers, dialing a cell phone was associated significantly with a crash or near crash. The prevalence of attention to secondary tasks increased significantly over time among novice drivers but not among drivers who were experienced. The authors concluded that the risk of crash or near crash increased among novice drivers who performed a variety of secondary tasks. This included texting and dialing their cell phones. Even reaching for the cell phone was considered risky. 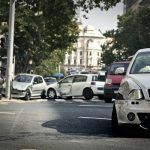 I’m Ed Smith, a Sacramento Trucking Injury Attorney with the primary accident information site on the web, AutoAccident.com. If you or someone you love has been in a trucking accident, call me now at 916-921-6400. You can find out more about our office by looking either Yelp or on Avvo, the attorney rating site.